Could your teenager’s criminal convictions cost more than just heartache? Disclosing criminal convictions when applying for insurance is a necessity, but it could have a significant impact. This may not even be an offence that you, the policyholder, has committed. invalidated if they, or any other occupant of their home, has a criminal conviction – no matter how small and seemingly unrelated the crime may appear. After a certain set period of time, most criminal convictions become ‘spent’. This means that there’s no need to disclose it on an insurance application. Disclosure of any driving offences is also not normally required by an insurer. However, if the offence is not spent – an insurer will normally take it into consideration when processing your insurance application. Many may refuse to offer you cover at all. So, for example, if your child is convicted of dodging a train fare or is arrested for underage drinking – your insurer could cancel your policy. Equally, if you come to claim on your insurance policy – you may find that your insurer refuses to pay out due to any undisclosed criminal convictions. It’s probably a surprise to most people that your teenager’s unruly drunken antics or your partner’s ill-advised fare dodging could prevent you from claiming for a burst pipe. The two probably seem completely unrelated. 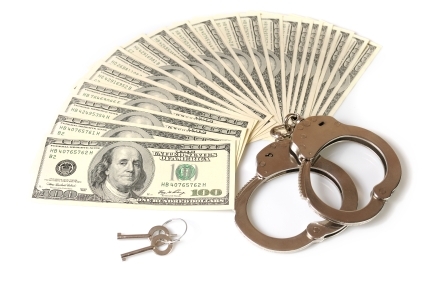 People may be rejected on the grounds that they have an unspent criminal conviction. This is because insurance essentially works on good faith and honesty. Those with unspent criminal convictions could be seen as a greater risk for insurance providers because of their past activities. Sometimes this is described by the term ‘moral hazard’. It’s important to read the policy terms and conditions thoroughly. Many policies will state that you must tell your insurer about a change in circumstances (this includes a conviction) within a specified time-frame after the event has occurred. Some will also need you to give details about all the occupants of the property and any changes in their situation too. When it comes to criminal convictions, it’s hugely important for providers to be clear about the information they require and exactly what ‘changes in circumstances’ includes and what should be reported. Equally, it’s important for policyholders to read their documents carefully and make sure they let their insurer know all the relevant details and updates.